From the vibrant city of Glasgow, perfect for shopaholics, to the sparkling lochs and the deep, forested glens of the Trossachs, FootprintFocus Glasgow will provide you with the essential information for you to make the most of your trip. This guide contains useful tips for getting there and around, plus comprehensive listings on where to eat, sleep and party. * Essentials section with useful advice on getting to and around Glasgow * Comprehensive, up-to-date listings of where to eat, sleep and play. * Includes information on tour operators, activities, walks and festivals. * Detailed maps for Glasgow and other key areas. * Slim enough to fit in your pocket. 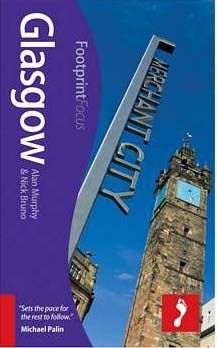 With detailed information on all the main sights, plus many lesser-known attractions, FootprintFocus Glasgow provides concise and comprehensive coverage of Scotland's most energetic city.